Free stock images? Here’s a roundup. There are soooo many places to grab free stock images for your blog/site/social media these days that the choice is almost overwhelming. And people STILL get it wrong! Firstly, remember that if it’s free, there’s probably going to be a heap of other folk using exactly the same photo. Secondly, like any of the places that you can find free stuff, there’s a ton of junk to sift through before you get to the good stuff. Also, what you use on your website and social media says a lot about you and your brand. What mood are you trying to convey with those images? Are they projecting your true business personality? Are they interesting to your ideal audience? Or are they just there to fill a gap? NOTHING says ‘bland’ quite so much as a website full of sterile stock photos. It’s those manicured hands hovering over a white keyboard, it’s those artificial smiles. It’s all the equipment on the desk arranged in a unbelievably neat grid. Seriously – whose desk is like that?? Yeah, I know not everyone’s a photographer, and we all use stock photos from time to time. But please choose wisely. It’s a big wide world out there, and the number of Public Domain image providers is growing exponentially. Like many ‘free’ versions of things, they make their money through advertising, and/or links to a paid, higher quality version of what they do. Some sites have a subscription service where they’ll send you new photos every week; some are bit overwhelming in the amount of advertising that they have – have a look around and bookmark a collection of sites that suit you best. Also, just a time tip – you will most likely spend a heap of time trying to find photos you like, so start up a new folder on your computer now, and set aside an hour or two to find and download a bunch that you like (10-20 at a time) so that you always have a stockpile of photos that you can dig into when you need something in a hurry. So here are some of my fave sites (there’s a ton more – just google “Public Domain images”, you’ll come up with a big list of sites for you to investigate. Some of these sites are searchable, although many of them are not and require a LOT of scrolling. But there are still some gems in there, so it can be worth your time). 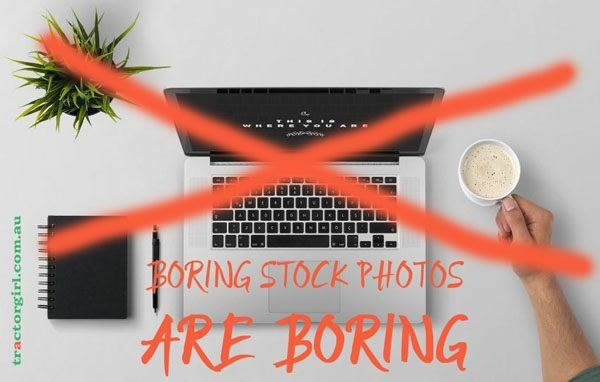 https://stocksnap.io/ StockSnap has a bit of personality to it, with contributors adding everything from their own travel photos to highly styled food photos, and it’s searchable by tag and by popularity too. https://picjumbo.com PicJumbo is another searchable site with some great images, especially of architecture and food (although there is a LOT of advertising on the site). http://publicdomainarchive.com/ PublicDomainArchive has a big collection of both vintage and modern Public Domain pics. They’re not searchable, but the images are lovely, often featuring gorgeous symmetry. http://nos.twnsnd.co/ New Old Stock is an absolutely fascinating collection of vintage photos, sourced from public archives throughout Europe and around the world. There’s lots of photos of the US space program, as well as Victorian-era images of buildings and people, old maps, and a bunch more things. Be prepared to spend some time scrolling – and not only because it’s not searchable. http://kaboompics.com/ and http://freestocks.org/ are both sites I came across recently, and both are searchable. They appear to be fairly typical subject matter (people in landscapes, flowers, flatlays of office setups etc), although they do both seem to have a bit more personality. If you’re after free vector graphics, you might try http://www.freepik.com/ – although they do require attribution and you’re not allowed to use them as your main design element. Keep searching, there’s plenty more! Free stock images can still have strings attached. They might be free, but if they’re licensed under Creative Commons, then you might be obligated to credit the image’s author at the very least. Creative Commons is great for both makers of work (because you can get your work out into a huge audience, and it grows as users spread it around) and users of work (so much more beautiful work to access!). CC has a range of different licences, which range from CC-BY (basically, you can use and edit/manipulate the work in any way you want for both commercial and private use, as long as you credit the original author), right throught to CC BY-NC-ND (you must attribute the author, you can’t use it for commercial purposes, and you can’t alter the work in ANY way). Public Domain pics on the other hand require no attribution, and you do whatever you like with them!! Now it IS tricky, because in a global marketplace the thing is that different jurisdictions have different laws around copyright… and so what might be considered Public Domain in one jurisdiction may still be under copyright in another… and so Creative Commons (a wonderful organisation AND search tool – you can find them at creativecommons.org) has created a kind of ‘anti’-licence – CC0 – so that authors can choose to waive all rights to their work. Because whenever you create a work, basic copyrights around intellectual property exist automatically (in most jurisdictions). CC0 is a way of stating that you waive your rights and place your work into the public domain completely for people to do whatever they like with. So that’s part of what Creative Commons is for as well – to try and make things a bit simpler for us creative folk. Google is NOT the place to go searching for images. Google simply collects and archives what’s out there – it doesn’t check the validity of any licensing or credits or image attachments or ANYTHING. Right now, if I put up an image of the Mona Lisa and put my name on it, that’s the information that Google would archive. So, do your own research, and find images in reputable places – for instance, you can also find lots of CC0 images in Flickr too, direct from the original photographers. If you get caught using an image (or other work) incorrectly, it can be a big headache – even a financial one, if the owner of the work chooses to come down hard on you. At the very least, they’ll ask you to remove the image – and you’ll have to find another one anyway, so why not choose a Public Domain image in the first place!? Don’t get caught out – always check. Have you heard any gruesome stories about people getting in trouble for using images that weren’t theirs? Share it here! It’s important to let others know that this is SERIOUS. Because the upshot is, we want our artists to get paid AND acknowledged for all their beautiful, amazing contributions to the world. Don’t we! ?